Aviation investigators and national security officials believe the plane flew for a total of five hours, based on data automatically downloaded and sent to the ground from the Boeing Co. BA 777's engines as part of a routine maintenance and monitoring program. WSJ has confirmed that the pilot had the ability to manually turn off the transponder on Flight MH370. A mid-air catastrophe could have destroyed it. Why is the transponder so significant? 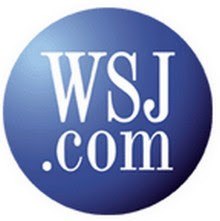 WSJ's Jason Bellini has #TheShortAnswer. A Malaysia Airlines official declined to comment. A Boeing executive who declined to be would not comment except to say, "We've got to stand back from the front line of the information." "We continue to monitor the situation and to offer Malaysia Airlines our support," a Rolls-Royce representative said Wednesday, declining further comment. "The disappearance is officially not an accident and all information about this is strictly handled by investigators," said a Rolls-Royce executive who declined to be named, citing rules of the International Civil Aviation Organization, a United Nations agency. Government conflicts and national arguments over crises are hardly unique to the Flight 370 situation, but some air-safety experts said they couldn't recall another recent instance of governments' publicly feuding over search procedures during the early phase of an international investigation. China and Vietnam venting their frustration with the slow progress of the mission and what they view as poor coordination of the effort to find Malaysia Airlines Flight 370. Allison Morrow reports on the News Hub. Photo: Getty Images. Authorities on Wednesday radically expanded the size of the search zone, which already was proving a challenge to cover effectively, but the mission hadn't turned up much by the end of the fifth day. 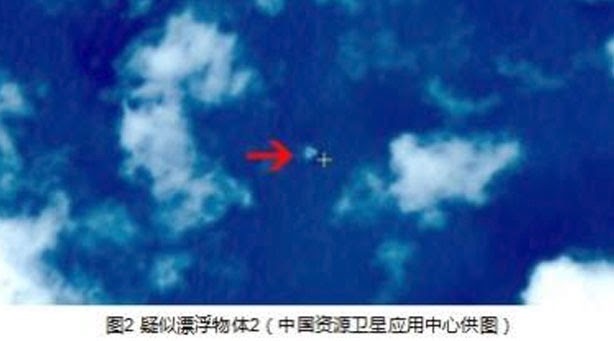 Also on Wednesday, a Chinese government website posted images from Chinese satellites showing what it said were three large objects floating in an 8-square-mile area off the southern tip of Vietnam. The objects were discovered on Sunday , according to the website, which didn't say whether the objects had been recovered or examined. China's government was especially aggrieved. More than 150 of the 239 people on board are Chinese, and family members in Beijing have at times loudly expressed their frustration over the absence of leads. "At present there's a lot of different information out there. It's very chaotic and very hard to verify," foreign ministry spokesman Qin Gang said in a regular press briefing. "We've said as long as there is a shred of hope, you can't give up." Gen. Rodzali Daud, Malaysia's air force chief, denied saying he had told local media that military radar facilities had tracked the plane there, saying they were still examining all possibilities. Vietnam later resumed normal search sweeps. You can help search for the missing Malaysia Airlines plane, thanks to a website called Tomnod.com. It allows anyone to comb the area where rescue workers are searching using satellite images. The WSJ's Deborah Kan speaks to DigitalGlobe's Luke Barrington. The challenge, said Lt. David Levy, a spokesman for the U.S. Navy's Seventh Fleet, isn't so much coordination as the sheer size of the area involved. The search grids are up to 20 miles by 120 miles, and ships and aircraft employ an exhaustive methodical pattern "like mowing your lawn" in their search for the plane, he said. "It is not unusual for searches to take a long time, especially when you are working with limited data," one official said. Aviation experts say the absence of an electronic signal from the plane before it disappeared from radar screens makes it difficult to pin down possible locations. Some radar data suggested the Boeing 777 might have tried to turn back to Kuala Lumpur before contact was lost, a detail that prompted a search for the plane on both sides of the Malaysian peninsula. So far the U.S., like other nations taking part in the search, has had no success. Many aviation experts are concluding that searchers may not have been looking in the right places. Even if the plane broke up in midair, it would have left telltale traces of debris in the ocean. The cracks now emerging between some of the participants in the search could make it even more difficult. The results of the 1999 crash of an Egyptair Boeing 767 en route to Egypt from New York, which killed 217 people, spawned a dispute between Washington and Cairo that strained ties for years. The National Transportation Safety Board concluded the plane's co-pilot purposely put the twin-engine jet into a steep dive and then resisted efforts by the captain to recover control before the airliner slammed into the Atlantic Ocean off the coast of Nantucket. Egyptian authorities insisted the evidence indicated mechanical failure. Earlier, Washington and Paris butted heads over the investigation into the 1994 crash of a French-built American Eagle commuter turboprop near Roselawn, Ind. The French objected to the NTSB's conclusions that French regulators failed to take actions that could have prevented the accident. Earlier this week, Malaysian investigators said they were expanding their investigation to encompass the possibility of hijack or sabotage, and possible personal or psychological problems of the crew and passengers. But Malaysian officials haven't discussed transmissions regarding engine operations or offered any explanation for the primary and backup transponders' not working. —Jon Ostrower, Trefor Moss, Gaurav Raghuvanshi, Josh Chin and Jeremy Page contributed to this article. (CNN) -- A Chinese satellite probing the mysterious disappearance of Malaysia Airlines Flight 370 "observed a suspected crash area at sea," a Chinese government agency said -- a potentially pivotal lead into what thus far has been a frustrating, fruitless search. 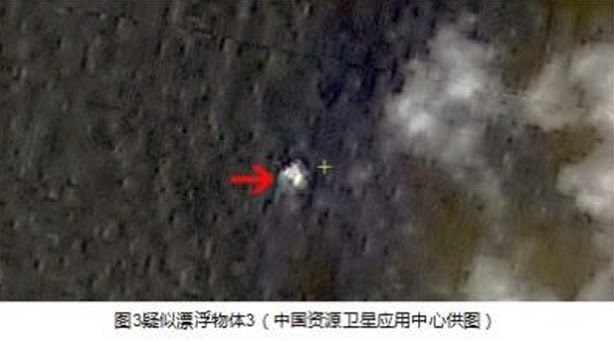 China's State Administration for Science, Technology and Industry for National Defense announced the discovery, including images of what it said were "three suspected floating objects." The objects aren't small: 13 by 18 meters (43 by 59 feet), 14 by 19 meters (46 by 62 feet) and 24 by 22 meters (79 feet by 72 feet). For reference, the wingspan of an intact Boeing 777-200ER like the one that disappeared is about 61 meters (200 feet) and its overall length is about 64 meters (210 feet). The images were captured around 11 a.m. on March 9 -- which was the day after the plane went missing -- but weren't released until Wednesday. The Chinese agency gave coordinates of 105.63 east longitude, 6.7 north latitude, which would put it in waters northeast of where it took off in Kuala Lumpur, Malaysia, and south of Vietnam, near where the South China Sea meets the Gulf of Thailand. 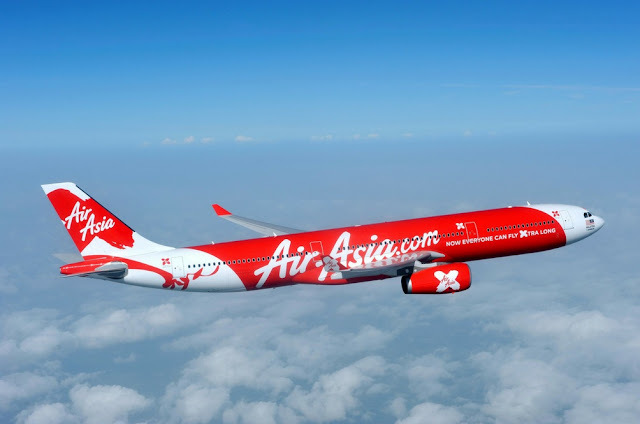 "It's where it's supposed to be," Peter Goelz, a former National Transportation Safety Board managing director, told CNN's Jake Tapper, noting the "great skepticism" about reports the plane had turned around to go back over Malaysia. "I think they've got to get vessels and aircraft there as quickly as humanly possible." This isn't the first time authorities have announced the discovery of objects or oil slicks that might be tied to aircraft. Still, it is the latest and comes on the same day that officials, rather than narrowing the search area, more than doubled it from the day earlier to nearly 27,000 square nautical miles (35,000 square miles). The vastness of the area and the limited details that authorities have given makes it hard to tell whether the spot that the satellite imagery captured has been searched. A Malaysian air force official, who is not authorized to speak to the media, did say Thursday morning that its aircraft were heading to that area. Bill Palmer -- author of a book on Air France's Flight 447, which also mysteriously went missing before its remnants were found -- said having a search area of that size is immensely challenging. He compared it to trying to find something the size of a car or truck in Pennsylvania, then widening it to look for the same thing in all of North America. "It's a very, very difficult situation to try to find anything," Palmer told CNN's Brooke Baldwin. "Looking for pieces on the shimmering water doesn't make it any easier." The Chinese satellite find could help, significantly, in that regard. "I think the size of the pieces ... everything we've heard... gives good cause to believe that we've now (refocused) the area," former Federal Aviation Administration official Michael Goldfarb told CNN. "And that's a huge relief to everybody ... I think it's a high chance that they're going to confirm that these (are) pieces of the wreckage." But not every expert was convinced this is it. Clive Irving, a senior editor with Conde Nast Traveler, said that the size of the pieces -- since they are fairly square and large -- "don't conform to anything that's on the plane." Tom Haueter, a former NTSB aviation safety director, said he'd be "surprised" if the objects came from the plane, rationalizing that anything that big wouldn't float. Regardless, time is of the essence -- both for investigators and the loved ones of the plane's 239 passengers and crew, who have waited since Saturday for any breakthrough that would provide closure. The flight data recorders should "ping," or send out a signal pointing to its location, for about 30 days from the time the aircraft set off, noted Goldfarb. After that, Flight 370 could prove exponentially harder to find. "It's the only clue that we've had so far," CNN aviation expert Richard Quest said of the satellite imagery clues. "If this doesn't prove to be the wreckage of 370, then we're back to square one." The Malaysia Airlines flight set off seemingly without incident early Saturday, not long after midnight, en route to Beijing. Then, around 1:30 a.m., all communication cut off over a location south and east of where the Chinese satellite images were shot. Azharuddin Abdul Rahman, the head of Malaysia's civil aviation department, said around 6 a.m. Thursday in Kuala Lumpur -- hours after China's announcement -- that his agency had not seen the images. This assertion comes amid frustration about the investigation, search and communication surrounding both. Relatives of those aboard the plane have expressed outrage, with video showing some of them angrily throwing water bottles at airline officials. And on Tuesday, a middle-aged man -- who said his son was on that plane -- shouted, "Time is passing by," before bursting into tears. Some involved in the multinational search operation have also vented about the ordeal. And Phan Quy Tieu, Vietnam's vice minister of transportation, has characterized the information that Malaysian officials have provided as "insufficient." "Up until now we only had one meeting with a Malaysian military attache," he said. Malaysia's transportation and defense minister Hishamuddin Bin Hussein defended his government's approach. "We have been very consistent in the search," he said. That location is hundreds of miles off the plane's expected flight path. The New York Times quoted a spokesman for the Malaysian prime minister's office as saying Tuesday that military officials had told him there was no evidence the plane had flown back over the Malay Peninsula. The Prime Minister's office didn't immediately return calls from CNN seeking comment. 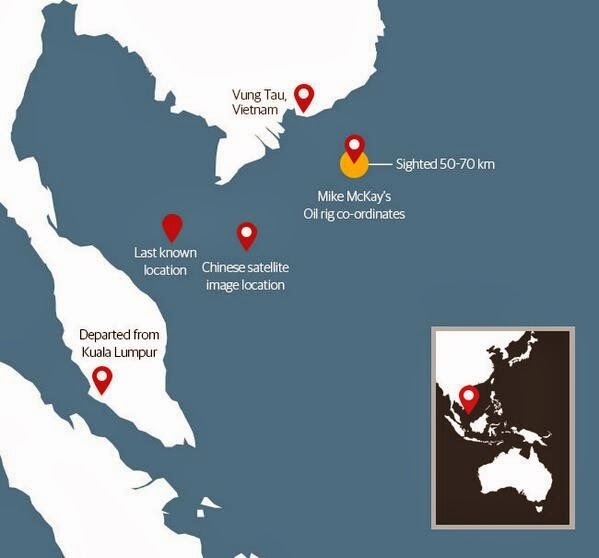 In another shift, Malaysian authorities said at a news conference Wednesday that radar records reviewed in the wake of the plane's disappearance reveal an unidentified aircraft traveling across the Malay Peninsula and some 200 miles into the Strait of Malacca. 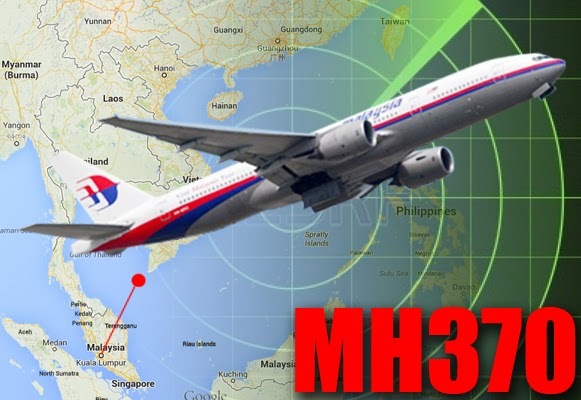 However, it wasn't clear whether that radar signal represented Malaysia Airlines Flight 370, Gen. Rodzali Daud, head of the Malaysian Air Force, said at the news conference. Rodzali said then that officials are still "examining and analyzing all possibilities" when it comes to the plane's flight path. As Rob Mark, a commercial pilot and publisher of JetWhine.com, told CNN's Erin Burnett: "There's so much confusing information flying around about this right now." Nothing has been ruled out as to what caused the plane's communication systems -- including its crucial transponder -- to suddenly stop working. Terrorism, hijacking, pilot error and a mechanical malfunction all remain just as valid as possibilities now as when the plane went missing. Amid all the confusion and complaints, Malaysian Prime Minister Najib Razak on Wednesday appealed for patience. "The families involved have to understand that this is something unexpected," Najib said. "The families must understand more efforts have been made with all our capabilities." Satellite images of possible debris from the missing Malaysia Airlines flight MH370 have been released on a Chinese government website. The China-bound plane went missing on Friday with 239 people on board. It vanished about an hour after it took off from Kuala Lumpur as it flew south of Vietnam's Ca Mau peninsula. 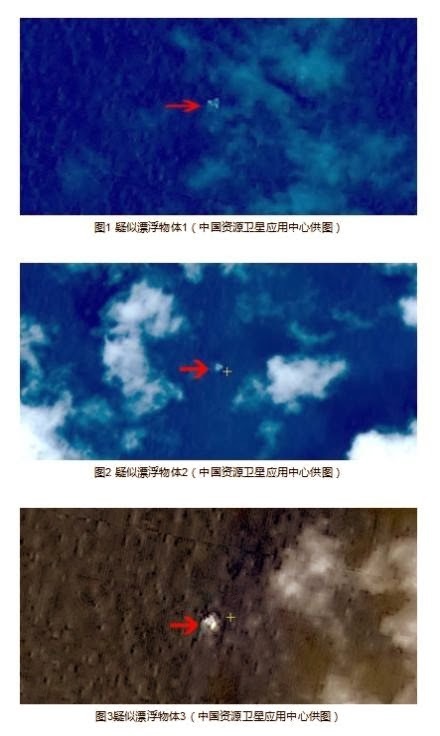 The images were taken on Sunday, a day after the plane disappeared, but were only released on Wednesday on the website of China's State Administration for Science. China's official Xinhua news agency says the largest of the objects measures about 24m x 22m (78ft x 72ft). Separately, Agence France-Presse quoted US officials as saying that US spy satellites had detected no sign of an explosion in the area at the time. The system has detected such heat signatures in the past but none was discovered this time, the officials said. Satelit China yang mencari pesawat Malaysia Airlines 370 yang hilang pada Sabtu menemui “kawasan disyaki pesawat terhempas”, lapor CNN memetik agensi kerajaan China, berkemungkinan menjadi petunjuk baru dalam misi mencari dan menyelamat hari keenam ini. Jabatan Sains, Teknologi dan Industri untuk Kementerian Pertahanan China mengumumkan penemuan itu termasuk imej yang dikatakan "tiga objek disyaki terapung dan saiz mereka." Objek ditemui statelit tidak kecil: 13 x 18 meter (43 x 59 kaki), 14 x 19 meter (46 x 62 kaki) dan 24 x 22 meter (79 kaki x 72 kaki). Sebagai rujukan, lebar sayap Boeing 777-200ER yang hilang adalah kira-kira 61 meter (200 kaki) dan panjang keseluruhannya adalah kira-kira 64 meter (210 kaki). Imej-imej diambil pada 9 Mac, sehari selepas pesawat hilang - tetapi tidak didedahkan sehingga awal pagi ini. Agensi China memberikan koordinat longitud timur 105,63, 6.7 latitud utara, yang akan meletakkannya di perairan timur laut di mana ia berlepas dari Kuala Lumpur, Malaysia, dan selatan Vietnam, berhampiran Laut China Selatan bertemu Teluk Thailand. – 13 Mac, 2014.